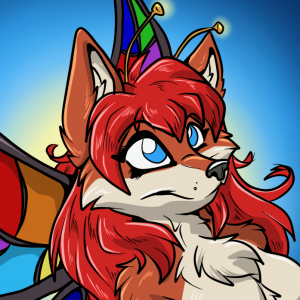 I want a picture of myself based on this with the colors of my ref at https://i.kitsunet.net/alynna_reference.png : Butterfly body and wings, rainbow colored wings, fox head, fox fur and colors on the body. 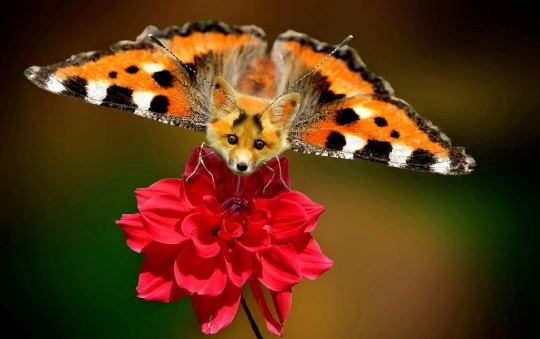 Sipping nectar from the flower of the artists choice. All reasonable quotes considered.